The group has released a number of prominent document dumps. Early releases included documentation of equipment expenditures and holdings in the Afghanistan war, a report informing a corruption investigation in Kenya, and a manual for operations at the U.S. prison at Guantanamo Bay, Cuba. In April 2010, WikiLeaks released the Collateral Murder footage from the 12 July 2007 Baghdad airstrike in which Iraqi journalists were among those killed. Other releases in 2010 included the Afghan War Diary and the "Iraq War Logs". The latter allowed the mapping of 109,032 deaths in "significant" attacks by insurgents in Iraq that had been reported to Multi-National Force – Iraq, including about 15,000 that had not been previously published. In 2010, WikiLeaks also released the US State Department diplomatic "cables", classified cables that had been sent to the US State Department. 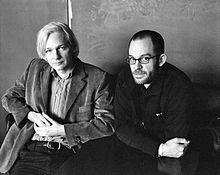 In April 2011, WikiLeaks began publishing 779 secret files relating to prisoners detained in the Guantanamo Bay detention camp. Assange wrote on WikiLeaks in February 2016: "I have had years of experience in dealing with Hillary Clinton and have read thousands of her cables. Hillary lacks judgement and will push the United States into endless, stupid wars which spread terrorism. ... she certainly should not become president of the United States." In July 2017, during an interview by Amy Goodman, Julian Assange said that choosing between Hillary Clinton and Donald Trump was like choosing between cholera or gonorrhea. "Personally, I would prefer neither." WikiLeaks editor, Sarah Harrison, has stated that the site is not choosing which damaging publications to release, rather releasing information that is available to them. In an Election Day statement, Assange criticized both Clinton and Trump, saying that "The Democratic and Republican candidates have both expressed hostility towards whistleblowers." 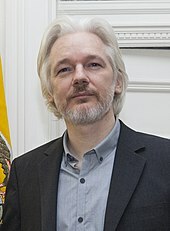 In conversations from 2015 that were leaked in February 2018, Assange expressed a preference for a Republican victory in the 2016 election. Having previously released information that exposed the inner workings of a broad range of organisations and politicians, WikiLeaks had started by 2016 to focus almost exclusively on Democratic presidential candidate Hillary Clinton. In the 2016 US presidential election, WikiLeaks only exposed material damaging to the Democratic National Committee and Hillary Clinton. WikiLeaks even rejected the opportunity to publish unrelated leaks, because it dedicated all its resources to Hillary Clinton and the Democratic Party. According to The New York Times, WikiLeaks timed one of its large leaks so that it would happen on the eve of the Democratic Convention. The Washington Post noted that the leaks came at an important sensitive moment in the Clinton campaign, as she was preparing to announce her vice-presidential pick and unite the party behind her. The Sunlight Foundation, an organisation that advocates for open government, said that such actions meant that WikiLeaks was no longer striving to be transparent but rather sought to achieve political goals. ^ Ohlheiser, Abby (4 November 2016). "No, John Podesta didn't drink bodily fluids at a secret Satanist dinner". The Washington Post. ISSN 0190-8286. Retrieved 8 November 2016. ^ a b Lee, Micah; Currier, Cora (14 February 2018). "In Leaked Chats, WikiLeaks Discusses Preference for GOP Over Clinton, Russia, Trolling, and Feminists They Don't Like". The Intercept. Retrieved 15 February 2018. ^ a b c d e f g Ioffe, Julia. "The Secret Correspondence Between Donald Trump Jr. and WikiLeaks". The Atlantic. Retrieved 13 November 2017. This page was last edited on 21 April 2019, at 04:06 (UTC).